Black Veil Brides in Montreal or Quebec City? 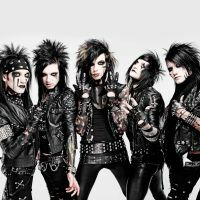 Inform me about the next events for Black Veil Brides. Enroll yourself to our priority waiting list for Black Veil Brides to be alerted when new tickets are available. Filling this form doesn't engage you to any purchase. Cincinnati rock outfit Black Veil Brides will be performing at the Montreal Metropolis on February 12th, 2015. The Black Mass Tour 2015 will be hitting Montréal and Quebec City (Feb 13), with supporting acts Falling In Reverse, Set It Off and Drama Club. Lots of good music ahead for those who will be attending !